Not a lot of produce but reluctant to waste? No problem! 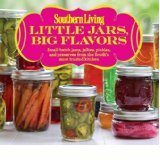 Southern Living presents a 2013 cookbook with something for everyone! Whether you’re a beginner, a seasoned canner, or a microwave-only cook, you’ll find inspiration in Little Jars, Big Flavors from author/chef Virginia Willis. Detailed instructions with beautiful color photos will walk you through the process. And because there’s no pressure canning (water bath-only recipes), no need to worry that you’ll blow up your kitchen. Included are helpful tips to prevent messes; what you aren’t allowed to “fudge” in processing and ingredients; and full-color pictures of gel tests. It’s much easier than learning the hard way. It’s fine if you don’t have a huge garden and tons of produce. Blueberry-lemon jam only calls for 3 cups of blueberries and yields 4 half-pint jars. No worries that you’ll waste a bunch of produce doing it wrong. Even if nothing seals, you only have a few jars to eat and share. Take the kiddos to a local pick-your-own farm and see how much produce makes it home. We only had a few cups left, anyway! The layout includes at-a-glance references for prep time so you can determine whether you have time to preserve what’s in your refrigerator just before leaving for the weekend. You’ll love the new twists on old favorites. I still had some strawberry and blackberry jam left from last season and didn’t want to put up more of the same. Soooo…I now have some strawberry-basil and strawberry-port jam, as well as blackberry-black pepper jam. The coolest thing? The time and produce investment is small enough to experiment. If you don’t like the results, you only have half a dozen jars to give away. I plan to try peach-rosemary jam, mimosa marmalade, and double-onion marmalade when the harvest changes. 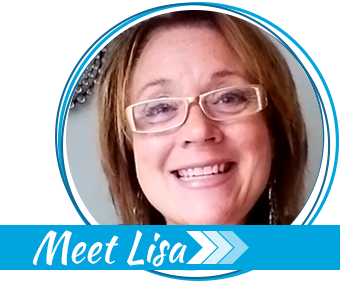 Experimenting is extra fun because the author includes ideas and even recipes for using your yummy concoctions. Onion marmalade sounded pretty gross—until I read that it can be a quick substitute for carmelized onions in my recipes. What an awesome shortcut! And for even shorter shortcuts, try some freezer pickles or jams or even microwave nectarine-ginger preserves. The flavor combinations in Little Jars, Big Flavors are different from anything in my Ball Complete Book of Home Preserving, my go-to guide in the summer. I ordered my paperback copy for $9.95 plus shipping from the Lakeside Collection online catalog. It lays fairly flat during use, so I’m glad I didn’t pony up for the $32.00+ hardback version from Amazon. Some used paperbacks are just under $9 on Amazon, but for an extra buck, I like the assurance of a pristine book. No kindle version exists at the time of this writing, but for beginners, I think an e-version would be a mistake. An entire chapter is devoted to what the author calls “Putting-Up Parties”. I LOVE this idea! 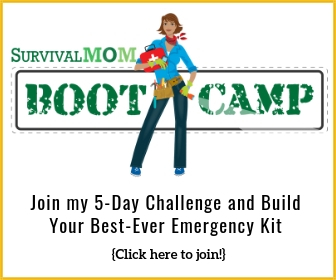 If you’ve ever thought about starting a prepper’s circle, this is a completely fun and non-threatening way to get started. Think of it like a “cookie-exchange” party. A few women get to share the work, chat together in the kitchen, share a few snacks, and at the end of the day, everyone has a few different recipes to take home rather than a year’s worth of one item. I’m planning a “putting-up party with my sisters-in-law who aren’t currently prepping. They’ll walk away with new skills and confidence (and a few jars of awesome goodies). This will definitely open the door to conversations about other food preservation methods I’m trying and other efforts to be prepared. We’ll only mess up one kitchen. The dads will spend a day herding kiddos, and the cousins will spend some quality time together. As a side benefit, I’m eager to try out some of my sister’s expensive Pampered Chef gadgets that I haven’t been able to talk myself into. The last time I went on and on about how much I loved my mom’s strawberry huller and my mother-in-law’s apple peeler/corer/slicer, I got one of each as a gift. Just sayin’. Believe me, I’m no Martha Stewart—but I don’t really have to be. This chapter suggests canning recipes for each season with some overlapping ingredients, snack and beverage suggestions, and lovely ways to decorate those beautiful jars for gift-giving. If you have kids, have them help out with making teacher gifts for Christmas or teacher appreciation. 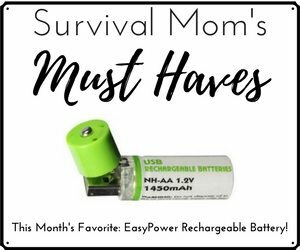 Even if that’s not really your thing, you can probably pretend for a few hours to make prepper connections in the least awkward way I’ve ever seen. At the very least, you get to walk away with a variety of goodies that you didn’t spend all day doing by yourself. If a friend shared this post with you via Facebook, Twitter, or Pinterest, consider yourself invited to her next “Putting-Up Party.” You can host the next one in the fall when you’ll be eager to put big apple, pear, and cranberry flavors into little jars. 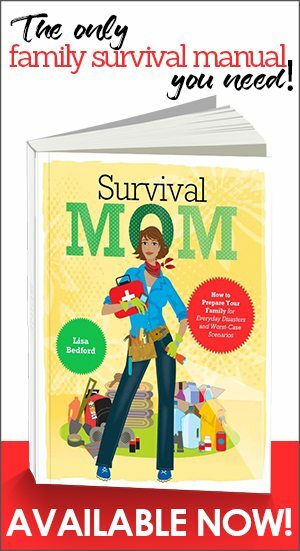 *Kris and The Survival Mom team have no affiliation with the author or publisher. I like the idea that smaller jars are less waste for singles or seniors. I have a friend who is single, childless, and doesn’t cook. I gave her a quart jar (one!) of strawberry perserves and it took her months to use it up on pancakes, butter bread, etc. Half pint jars are far less intimidating. Definitely adding this book to my collection! You’re exactly right! My husband is the only one who eats anything jalapeno, so it takes forever for him to get through even a pint jar of pickled slices or jalapeno jelly. By the way–we just tried the mint jelly glopped over a block of cream cheese and served with crackers. YUM. I’m definitely giving that out for Christmas gifts! !